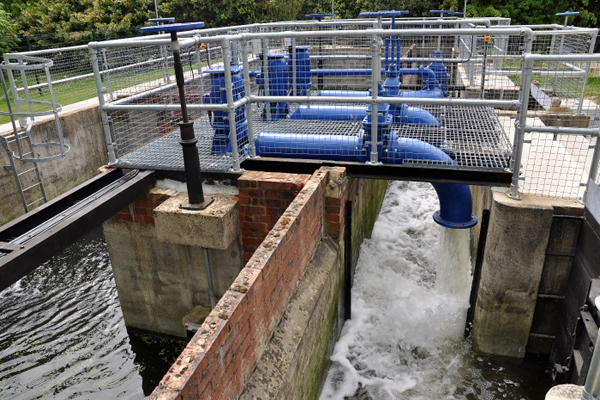 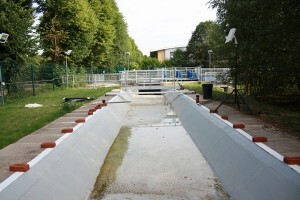 The outdoor facility, unique in the UK, has three channels through which water can be recirculated. 1. trapezoidal channel, 60 m length x 2.1 m width x 0.5 m depth, maximum flow rate 0.8 m3s-1. 2. natural channel, 60 m length, sinuous but can be modified to mimic natural conditions. 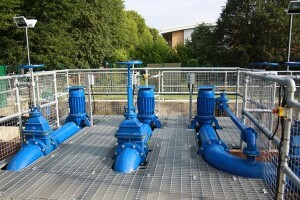 3. small channel, 60 m length x 0.5 m width x 0.5 m depth, maximum flow rate 0.15 m3s-1.